Denis Healey was a great figure for twenty-five years of Labour history, a politician with “a hinterland”, very well-read and deeply interested in art and music, and, though Jeremy Corbyn may not have approved, was a master of the brilliant put-down. Geoffrey Howe was forever diminished by that greatest of personal attacks – his attacks summed up as being “like being savaged by a dead sheep“. He will be remembered fondly even by many of us for whom he was a bête noire in our youth in the 1970s. As Chancellor under Wilson and Callaghan he was undoubtedly the Chancellor who sealed the end of the Keynesian approach that had been adopted by both Labour and Tory governments in the post-war period until then, and has only been reintroduced as Labour’s by Jeremy Corbyn and John McDonnell. He led the battle in cabinet for the cuts in public expenditure which were the price of IMF support for Sterling. However, with hindsight, he was chancellor in the most difficult of times with rampant inflation that was largely a consequence of the Barber boom (named after the Tory Chancellor between 1970 and 1974) and the oil price shock, and he was unfairly blamed for the winter of discontent following Callaghan’s insistence in 1978 on a disastrously low 5% pay norm when inflation was still 10%. He did, after all, favour a system of price controls far more extensive than anything being proposed by Corbyn and McDonnell and his incomes policy, agreed through full cooperation with the TUC and trade union leadership, was clearly designed to benefit the low paid. In the years of New Labour, he may quite reasonably have been regarded as on the left of the party. As it happens, I have a grievance against Denis Healey. 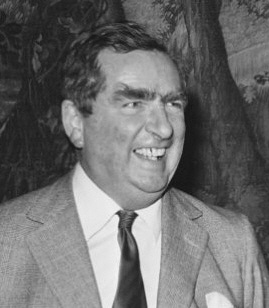 On 20 September 1981, in the latter stages of Labour’s deputy leadership election campaign (the first that involved party and union members not just MPs) in which Denis Healey had been challenged by Tony Benn, Healey accused me personally on live television of “orchestrating the heckling and booing” which he had faced on the previous day at a Labour demonstration in Birmingham and at a similar event in Cardiff that July. I was, at 24, the secretary of Benn’s campaign committee but had not been present at either demonstration. I never received an apology from Denis Healey though I did from London Weekend Television which accepted that I had been libelled. By that evening, ITN’s News at 10 ran what Tony Benn recorded in his diary as “a devastating denunciation of Healey” and showed Healey merely saying that “if I made a mistake it was unwise“. But in spite of that, as is so often the case in these situations, the Mail and Express and sundry other right-wing newspapers continued to carry nasty stories about me for several days. And even now when the incident is referred to, which happens from time to time, the accusation is normally reported without any reference to the fact that the TV company settled out of court to avoid a libel action. Still I bear Denis no grudge. Though he won the election by a whisker of 0.5%, he so nearly failed to do so. That he suffered such an embarrassment on the eve of the Annual TUC congress was very damaging to his position. The TGWU, though it’s executive had already decided to nominate the “spoiler” candidate, John Silkin, decided the following day to give its second round vote to Tony Benn. Walt Greendale, then chair of the union executive and one of the outstanding lay union activists of the period, told me at the time that he thought it would probably not have reached that decision if it hadn’t been for Healey’s foolishness. I hold no grudge against Denis. When he came to campaign for Tony Benn in the Chesterfield by-election in 1984, I spent a large part of the day with him and, though there was still no apology, he was witty, charming and impeccably polite. He campaigned hard all day, topping it off with the wonderfully memorable speech at one of the packed public meetings which characterised that campaign which culminated in the words “Healey without Benn would be like Torvill without Dean” at which precise point the Chesterfield Labour banner behind him came crashing down. It brought the house down with laughter, and we all retired afterwards to a pub where Denis entertained everyone, playing the piano and singing songs alongside Tony. It was one of the funniest evenings I have ever spent. He is sorely missed. The old right make me sad sometimes – we all used to support public ownership and progressive taxation once, so why did they end up going along with the Blairites (who are very different people) so easily? Perhaps it was a lack of real leaders one Healey and Hattersley retired and John Smith died. The Labour right are `realists’, cynical realists, and they adapt their programme to the needs of the ruling classes. By the 70s world capitalism was stagnant and British capitalism was falling further behind its competitors. Healey and Co began the process of dismantling the welfare state established after the War in accordance with the demands of a dying economic system a process which Thatcher took even further, Blair further still and which Cameron and Osborne are completing. So it’s not only the left of the party who don’t want that. As one of those that Spontaneously booed Healey in Cardiff at an anti Nuclear march, I felt a pang of conscience and thought I would not talk ill of the dead, but yesterday I listened to him denigrate Tony Benn after his death and have now absolutely no compunction in blaming him as the first Neo-LIberal Labour Chancellor that only cared about his own personal career, than he did about the Party. I believe his bitter remarks about Tony Benn were more about his grievance at not becoming the leader of the party than any real justification of the left wing campaigns in the party. He was in comparison a political pigmy compared to Tony Benn, and like all those on the right, shallow self seeking and definitely not socialists. Absolutely agree. He took the IMF loan and the Washington Consensus of austerity and cuts long before Thatcher continued the war against the 99%. Callaghan was PM at the time. A reply to why Healey spoke badly of Benn after his death, due to benns failure to denounce violent extremists, is propaganda in what way? What Violent Trotskyists are you referring to John, the ones you imagined or can you present some facts. “As it happens, I have a grievance against Denis Healey. On 20 September 1981, in the latter stages of Labour’s deputy leadership election campaign (the first that involved party and union members not just MPs) in which Denis Healey had been challenged by Tony Benn, Healey accused me personally on live television of “orchestrating the heckling and booing” which he had faced on the previous day at a Labour demonstration in Birmingham and at a similar event in Cardiff that July”: it was me, Jon! I met Denis a few times and although I am Left and he was Right at least you knew where he was coming from. Of course with Callaghan in 1976 he launched moneterism and instead of going to the IMF it didn’t enter his head to possibly have a Windfall Tax on big business but then again hindsight is a wonderful thing. Some East Leeds members told me some lovely stories about him. Apparently he liked his food and after an evening campaigning the car with Denis in it pulled up outside an East Leeds fish shop and Denis promptly ordered a bag of chips and 2 fish! At a Labour Club after a meeting he once asked some members if they wanted a drink and when 3 or 4 of them said yes there was a look of horror on Denis’s face but to his credit he promptly delivered 4 halves! I am Left and he was Right but I respected him.